Guide and templates for University logos, Faculty letterheads, PowerPoint and flyer templates (requires login). Policies, procedures and forms for the students and staff of the School. Student policies, including academic dishonesty (plagiarism), calculator policy, assessment policies including appeals, honours classification and overloads. School safety and health information - including the School Safety Manual, Safety Plan and Safety Induction Checklist. 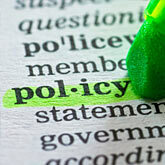 Policies, procedures and forms for official travel. School policy on conference travel and other expenses for PhD students. Requests for leave should be submitted through Employee Self Service. As a support to the teaching activities of the School, staff may employ casual demonstrators or teaching assistants. All visitors must be approved by the Head of the School via the visitor form. Further advice on the procedures relating to different types of visitors is available. Commencement for non-university staff form is available on the HR website. Visitor card application form is available on the Campus Card website.